P2181 code - If the actual ECT sensor value is above oe below the predicted ECT sensor value by more than a calibrated threshold. When monitored this DTC the P060B code is not active and the actual ECT sensor voltage is somewhere between 0.29 and 4.95 volts. Default actions the MIL light illuminate and the ETC light illuminate. Never open the cooling system when the enigne is hot. The system is under pressure. Extreme burns or scalding may result. Failure to follow these instructions can result in possible serious or fatal injury. 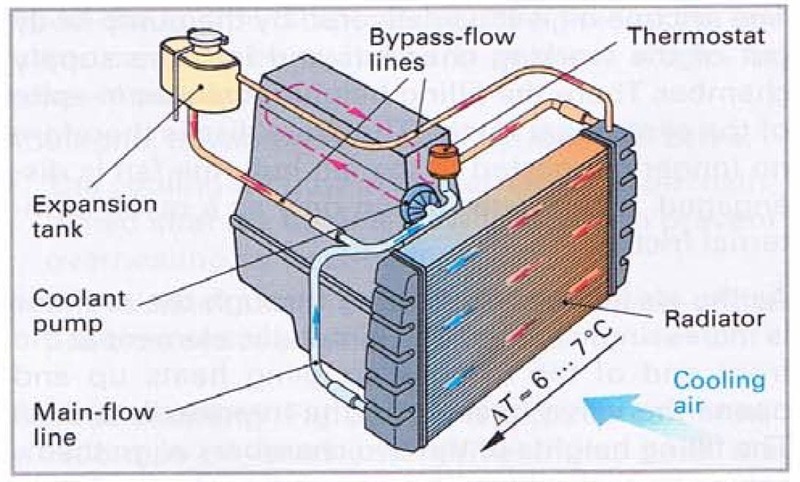 Allow the engine to cool before opening the cooling system. Inspect the cooling system for proper level and condition. Is the coolant level and condition OK? No, inspect the vehicle for a coolant leak, make the appropriate repairs and add the correct amount of coolant. Diagnose and repair DTC P060D before proceeding with this test. Extremely cold ambient temperatures may cause this DTC to set. Start the engine and allow it to reach operating, with the scan tool read DTCs and record on the repair order. Turn the ignition off, disconnect the ECT sensor harness connector. Disconnect the PCM harness connector. measure the resistance of the ECT signal circuit between the ECT sensor harness connector and PCM harness connector. No, repair the ECT signal circuit for an open or high resistance. Measure the resistance of the sensor ground circuit between the ECT sensor harness connector and PCM harness connector. No, repair the sensor ground for an open or high resistance. Turn the ignition off, reconnect the PCM harness connector. Replace the engine coolant temperature sensor, start the engine and allow it to idle for up two minutes. With the scan tool read DTCs. 0 Response to "P2181 Cooling System Performance"